Curtin Health Innovation Research Institute News » Blog Archive » Mark’s a medallist! By Amanda Iannuzzi 12 December 2018 News Comments Off on Mark’s a medallist! Congratulations to the Curtin Health Innovation Research Institute’s (CHIRI) Dr Mark Hackett from Curtin’s School of Molecular and Life Sciences on receiving the Royal Australian Chemical Institute (RACI) Analytical and Environmental Chemistry Division Paul Haddad Medal. The medal recognises Mark’s research and contribution to analytical and environmental chemistry, both nationally and internationally, in particular his development of new imaging techniques for neuroscientists. “Dr Hackett developed imaging strategies that have enabled neuroscientists to gain new insights into how the brain works, including chemical pathways that may be linked to brain disease,” Curtin University Vice-Chancellor Professor Deborah Terry said. Mark’s new imaging protocols will allow neuroscientists to study specific molecules or elements in the brain that were previously difficult or impossible to image. The protocols are broadly applicable beyond neuroscience, with Mark having recently applied the methods to plant sciences and forensic science. Mark carries out his research, combining spectroscopy, microscopy and neuroscience, in close collaboration with CHIRI. 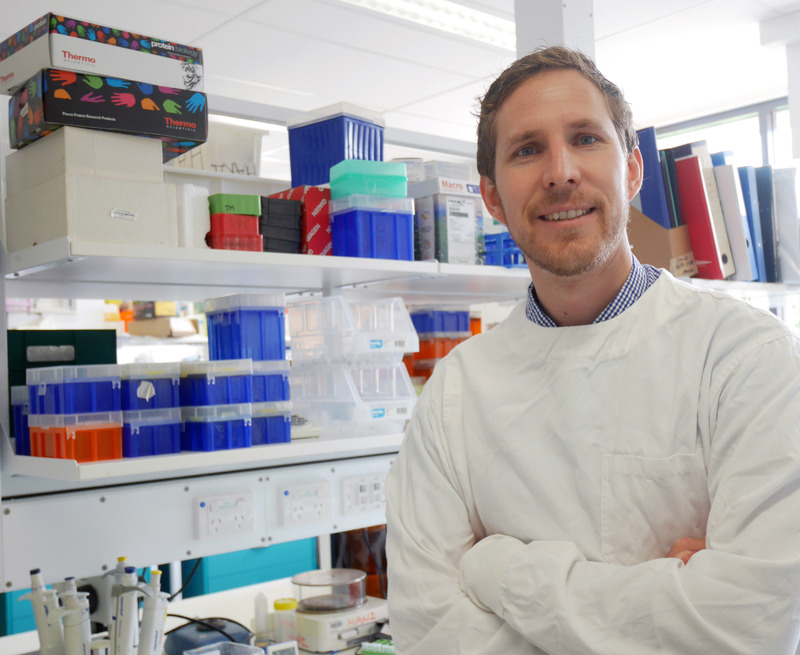 He was nominated for the Haddad Medal, which is an Early Career Research award, by his Curtin colleagues Professor Damien Arrigan and Professor Simon Lewis. Curtin’s Associate Professor Mauro Mocerino (School of Molecular and Life Sciences) was awarded RACI’s Fensham Medal for Outstanding Contribution to Chemical Education. You can read more about their achievements at https://buff.ly/2QrUzx1.